Chateau Pichon Baron is one of the most prestigious Pauillac wines and a majestic property on the Left Bank in the Bordeaux region. Located on the Medoc Route des Chateaux (the Castle Road), this Second Classified Growth of 1855 leaves no one indifferent. The estate’s imposing structure is reflected with grandeur and brilliance in the water mirror that rests just in front of it, and under this water mirror is the chateau’s underground cellar. "Pichon Baron" underwent major modernization once it entered under the control of the AXA Group at the end of the 1980s. With modern infrastructure and a vineyard largely replanted, Chateau Pichon Baron has reached a peak of excellence that matches the First Great Classified Growths. With a mosaic of terroirs and ideally located near the Gironde estuary, the Pichon Baron vineyard covers 73 hectares of vines growing in perfectly drained Medoc gravel soils. To bring out the expression of this exception terroir to give wines with a unique identity and timeless charm, the passion and commitment of the Chateau Pichon Baron technical team under the direction of Christian Seely since 2001 drives them. The extreme precision in parcel selection makes it possible to make blends of great finesse, complexity and incomparable concentration. With 3 iconic labels, Chateau Pichon Baron produces different expressions of the great terroir of Pauillac, an appellation recognized for some of the greatest wines in the world. Chateau Pichon Baron is the estate’s first wine produced in limited quantities, and it comes from a rigorous selection of the oldest vines on the estate. With immense class, this vintage displays a purity and intensity that only the greatest Pauillac wines have. It charms the palate with a dense, harmonious structure that continues all the way to the lingering finish. As an exceptional Pauillac, Chateau Pichon Baron is made for cellaring that will reveal all of its complexity and refinement throughout the decades. 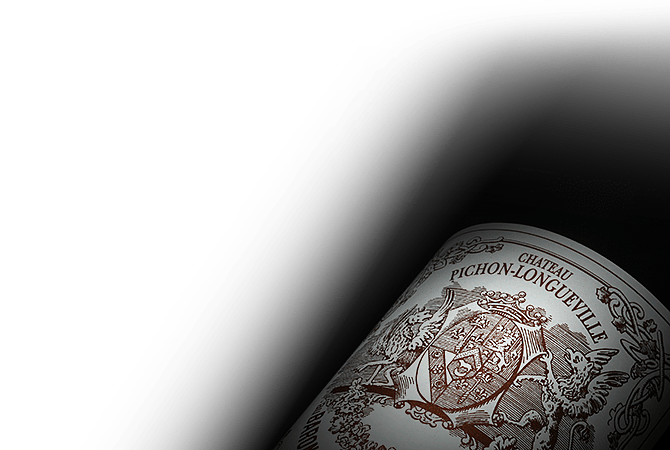 Flawless and expressive, Les Griffons de Pichon Baron is the estate’s second wine with a personality in its own right, which is blended from parcels near the Gironde estuary. Les Tourelles de Longueville, named after the towers that adorn the chateau, is from vineyard plots planted with Merlot to give a fresh and supple expression of the terroir. A mere glance at the classic etiquette gracing each bottle of Chateau Pichon Baron is enough to understand the refined character of this historical property. A pair of mighty griffins fiercely guarding the historical seal of an esteemed Bordeaux family. The "Cru Classe" classification proudly displayed above the famous appellation of Pauillac, in capital letters. Chateau Pichon Baron is a true Medoc, as classic as they come - a rich, full-bodied and elegant blend of Cabernet Sauvignon, Merlot, Cabernet Franc and Petit Verdot, perfected over time. Discover the estate's prized Grand Vin, along with its second label, Les Griffons de Pichon Baron. The history of Chateau Pichon Longueville Baron dates back to the Grand Siecle ("Great Century") of France, when Louis XIV reigned supreme. The first vineyard plots of the property, situated close to the Latour estate in the Bordeaux Left Bank appellation of Pauillac, were purchased in 1689 by Pierre Desmezures de Rauzan and included in the dowry of his daughter Therese, when she married Baron Jacques Pichon de Longueville in 1694. 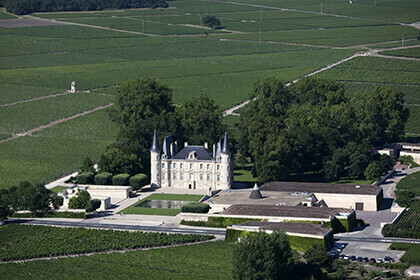 Shortly after the marriage, the Chateau Pichon Longueville Baron estate was created. The property eventually passed to Baron Joseph de Pichon Longueville who, before his death in 1850, divided it in two, leaving what would become Chateau Pichon Baron to his two sons and what would later be known as Chateau Pichon Comtesse to his three daughters. The chateau on the Pichon Baron property, truly romantic and reminiscent of a palace in a French fairy tale, was commissioned by Baron Raoul Pichon de Longueville in 1851 and constructed next to what today remains one of the estate's oldest vineyards. 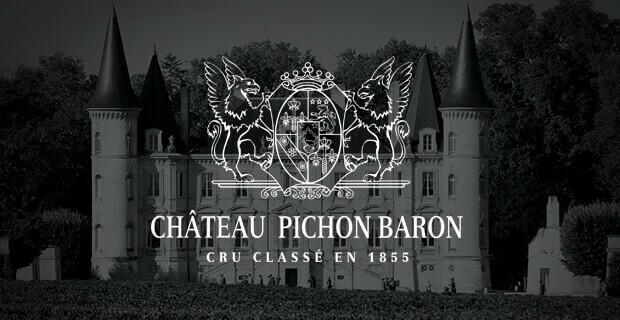 Under the famous 1855 classification of Napoleon III, Chateau Pichon Baron was ranked a Second Grand Cru Classe. The chateau remained in the Pichon de Longueville family, until it was sold in 1933 to the Bouteiller family, who kept it until for 50 years before selling it to the AXA Millesimes group in 1987. Following two World Wars, the property fell into decline in the 1960's and 70's because of a lack of investment and care. When the AXA group took over, they brought in Jean-Michel Cazes to run the estate. A massive renovation project began on the property in 1988, including a reconstruction of the fermenting room and cellar. An ornamental pool was designed to reflect the majestic facade of the chateau. In 1987, Jean Rene Matignon joined the team and began improvements by eliminating the use of machine harvesting. After the first two fantastic vintages in 1989 and 1990, Chateau Pichon Baron continued improvements, culminating in the release of the magnificent 2000 vintage, followed by the beautiful 2005, and - more recently - the unparalleled 2015. Since 2001, the estate has been run by Christian Seely, who is also Managing Director of the AXA group. The Chateau Pichon Baron property expands over 73 hectares planted with 65% Cabernet Sauvignon and 30% Merlot, both used for the estate's namesake Grand Vin and second wine, along with 3% Cabernet Franc and 2% Petit Verdot, exclusively blended into the second wines. The land planted with vines can be divided into 4 main blocks and 70 distinct parcels, with various slopes and a maximum elevation of 13 meters. The 40 hectares of vineyards used for the Grand Vin are perched atop the Pauillac plateau, planted in soils of deep Quaternary gravel, large pebbles and sand. The vines, with an average age of 35 years, enjoy a maritime climate, since the Gironde estuary nearby contributes a mild temperature. 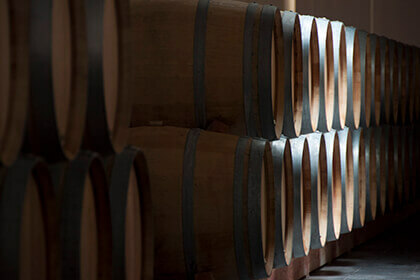 However, the estate's historic "Butte de Pichon Baron' plots have been in use ever since 1694. In the vineyards of Pichon Baron, the vines grow at a density of 9,000 plants per hectare. Careful attention is paid to limiting yield and the fruit is harvested exclusively by hand. The team has placed even greater emphasis on sorting, first in the vineyard and then at the winery with the help of state-of-the-art optical sorting technology. 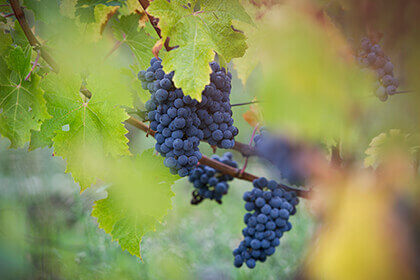 Over the past two decades, this increased emphasis on sorting has resulted in a larger volume of the estate's second wine, and a more limited production of the Grand Vin. After arriving to the winery, the fruit is transferred into one of 44 stainless steel vats, ranging from 64 hectoliters to 220 hectoliters. These vats of various sizes allow for a very precise, plot-by-plot vinification, which is also separated for various varietals. 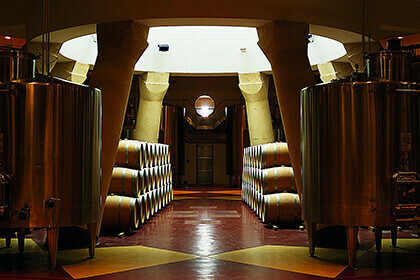 The winery is also home to 4 oak vats of 80 hectoliters, where the Merlot ferments. Malolactic fermentation continues in the tank, while maturation takes place in oak, on average 80% new oak, for a period of 18-20 months, depending on the vintage. During this time, the wine is racked every three to four months, using the traditional candle method, designed to separate the wines from the lees. The parcel-by-parcel selection and vinification allows for a more elaborate selection of base wine "ingredients" from which to produce the final blend. In fact, over 40 different wines are tasted during the blending session each year. When malolactic fermentation is complete, the best batches of wine are selected to be included in the estate's namesake Grand Vin. Most of these are aged in new oak and are tasted 3 months into aging to determine their role in the blend. Currently the Pichon Baron estate produces three wines - its prestigious Grand Vin, Les Tourelles de Longueville (whose first vintage, under the name Baronet de Pichon, was that if 1983) and the newer, higher-end Les Griffons de Pichon Baron (starting with the 2012 vintage). The latter is typically a blend of around 60% Cabernet Sauvignon and 40% Merlot, harvested from the same historical plots of vine included in the estate's Grand Vin. As with most great wines of the Pauillac appellation, the wines of Chateau Pichon Baron are not ones to drink young, as they may be too powerful, tannic and even bitter before aging sufficiently. Nevertheless, younger vintages improve significantly with decanting for around three or four hours. Depending on the vintage, the wines of Pichon Baron are best after spending 15 to 45 years in the bottle. These wines make for excellent centerpieces, pairing beautifully with classic meat dishes, including roast chicken, duck, beef or lamb. From the 2012 vintage on, each bottle of Chateau Pichon baron has been marked with a secure visual recognition system, with a unique code on the cap and back label guaranteeing the authenticity of the bottle. Consumers are welcome to enter this code into the "Authenticate Your Bottle" page of the estate's website to trace the authenticity of their bottle.